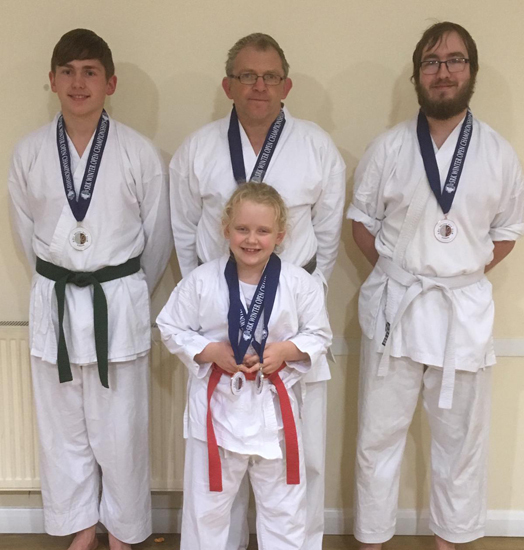 A small team from Luton Higashi competed in the SRK Winter Championships. It was Edvin, Ashley and Alexandria’s first time. Liridona was to add to her competition experiences and Eugene couldn’t resist coming out of retirement. Again. With 3 out of 5 members competing for the first time, Luton Higashi attained 11 place out of 31 clubs, which is an excellent return. It was a really good day at the competition. 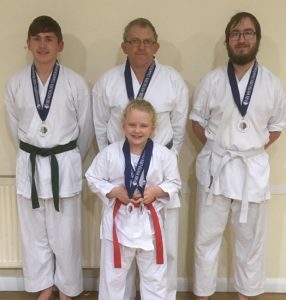 Edvin picking up gold in 15-17 years, Ashley nabbing a bronze in the 18 + up to 4th kyu. Alexandria scores a bronze in kata, and silver in kumite. Dona finally got to meet somebody who was not an international (after meeting a New Zealand international and a European champion in her first 2 outings) and showed she is a force, winning her first fight 5-2, and only losing to the eventual winner. I grabbed a silver in the golden oldies, so a good day overall.